We are a leading Exporter of generic medicines from Nagpur, India. 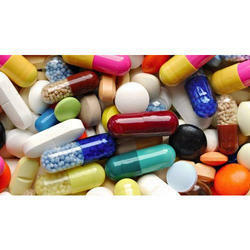 We are one of the eminent traders and exporters of high quality Generic Medicines. The offered medicine is procured from US-FDA approved manufacturers. Besides, we cater to the demands of online pharmacies by dropshipping medications to the consumers on their behalf. Clients can avail these medicines at nominal prices.